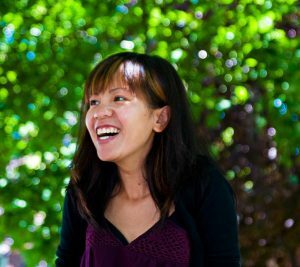 Thao Lam is the critically acclaimed author/illustrator of Wallpaper and Skunk on a String. She studied illustration at Sheridan College and has an insatiable love of coloured and textured papers, which she uses to create her exuberant collages. She lives in Toronto. For more information visit thaolam.com.